Toxic tobacco smoke is KILLING 180 INNOCENT Americans EVERY DAY and Newser is busy re-running the same old tired repetitive stories about dogs and mail delivery people. BAN ALL SMOKING, EVERYWHERE, NOW! The AKC (American Kennel Club) is the cause of all of this for not advocating for tougher legislation against dogs! All dog owners should be held responsible for all actions of their dogs. This can only happen with the proper dog ordnances and dog laws being on the books and enforced. 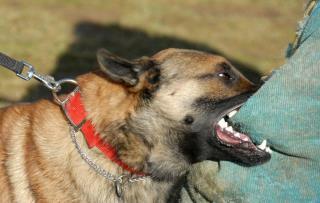 The dog owner should be held responsible for all actions of his/her dog including if it bites someone, threatens to bite someone, craps, pukes and or urinates on some else's property and when their dog disturbs the peace of someone else's home by their dogs howls, squalls and barking. A dog owner is quite welcome to tolerate the conduct of their own dog, however a dog owner has no right to expect other people to tolerate it.